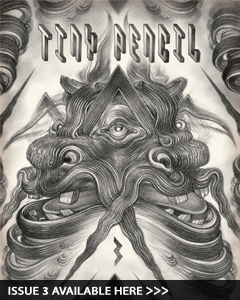 Tiny Pencil Issue 3 - The Beast has landed! 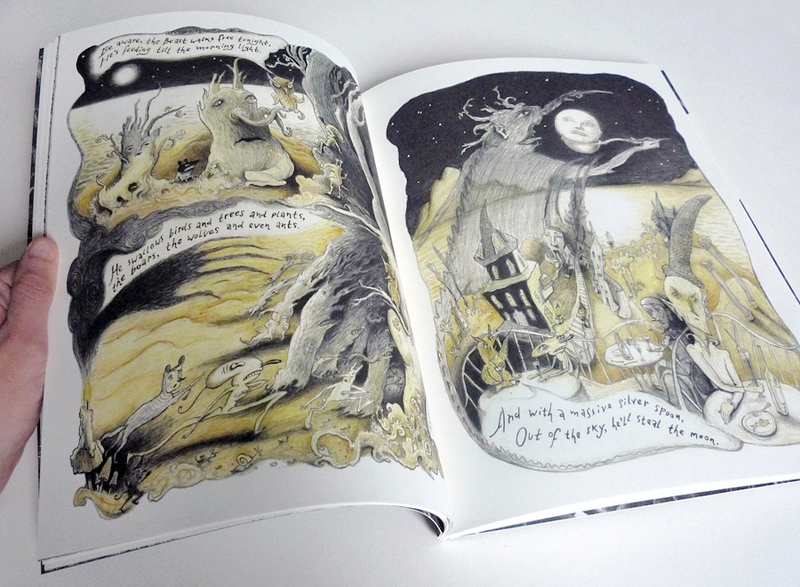 Issue 3 is finally here and it is a beast of beauty. We’re super excited to finally share these shots of our latest endeavour: The Beast Issue – Monsters, Machines & Unnatural Things! 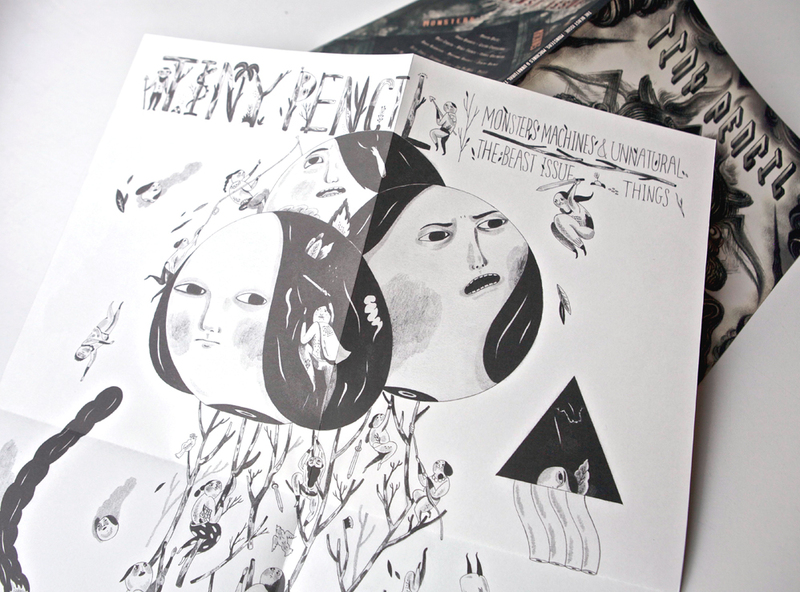 This issue features a special BONUS pull-out double sided poster with artwork by Taiwanese illustrator Inca Pan (above) and Italian illustrator Vania Barbato whose work also features on our back cover! Title Page by Marion Balac. 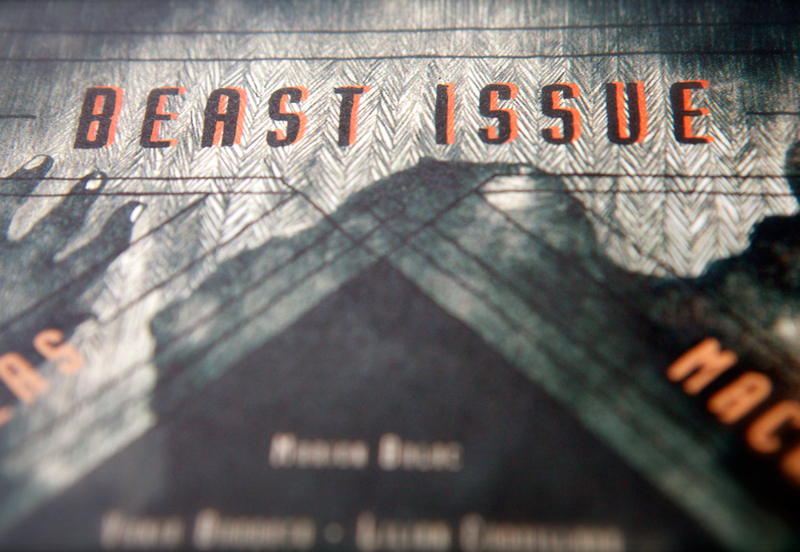 We’re spectacularly proud of the dark matter in this issue. 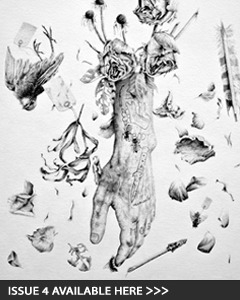 And absolutely thrilled to be featuring such an international cast of stellar graphite artists! 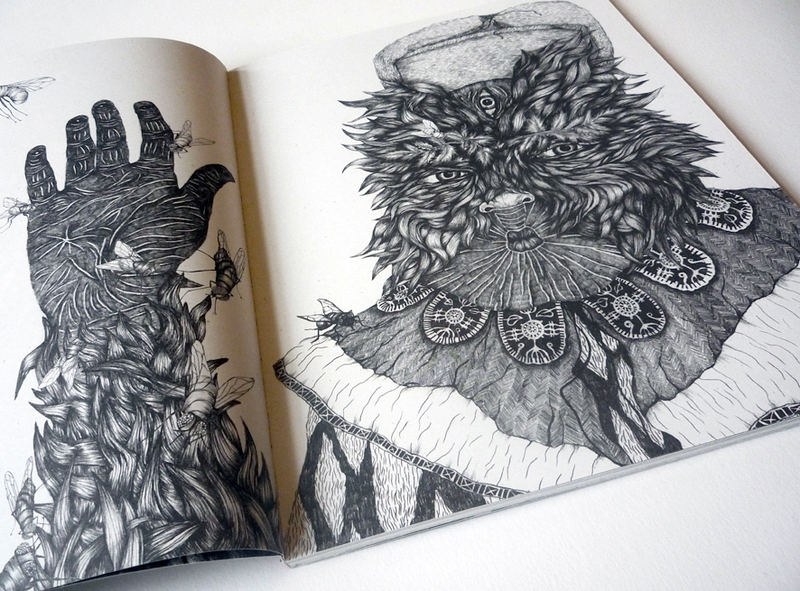 Our third issue includes ghastly graphite invocations by Latvian comics artist and illustrator Dace Sietina (above! 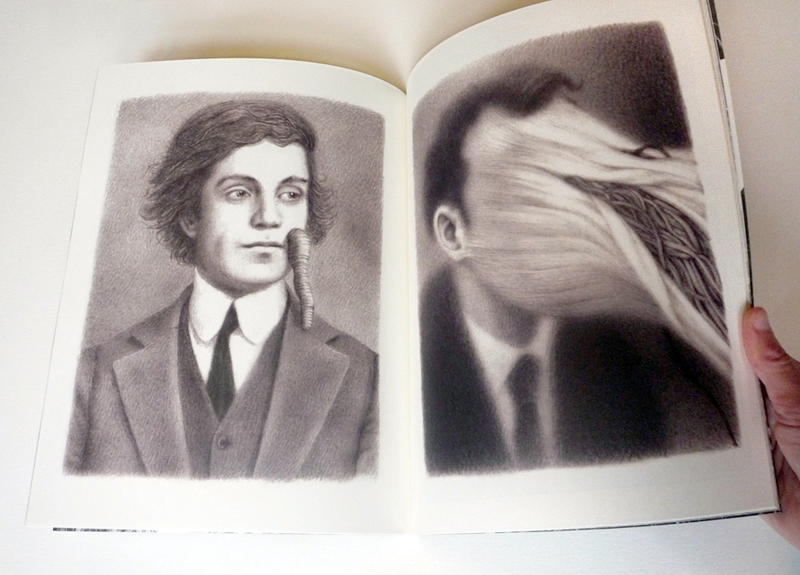 ), the distinctly unnatural portraiture of renowned US artist Renee French (below! ), and much, much more. Here’s another peek at a few pages of a full comic story from the superbly talented Tobias Tak! Stay tuned for further sneak peeks and more artist interviews! 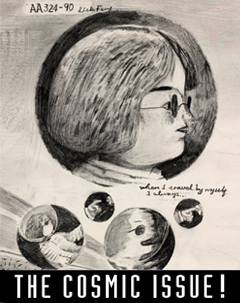 Front cover by Lee Misenheimer! 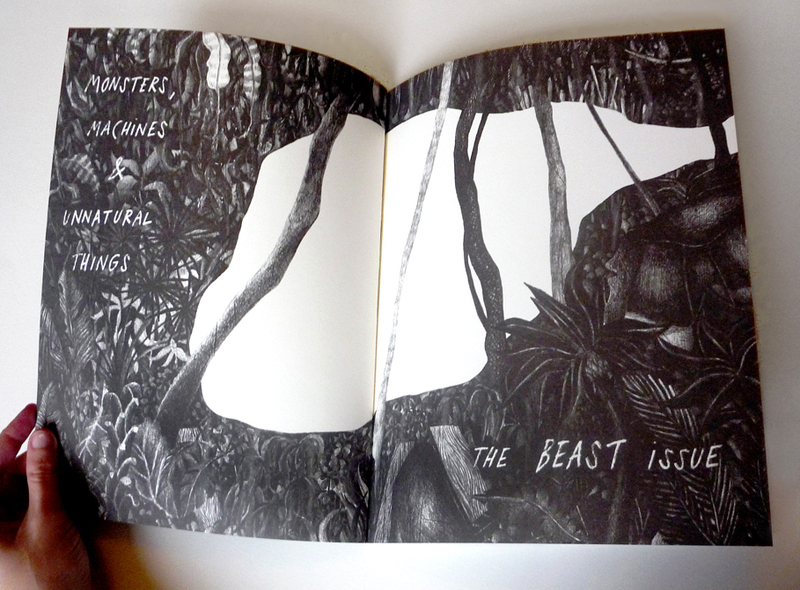 Back cover featuring illustration details by Vania Barbato! 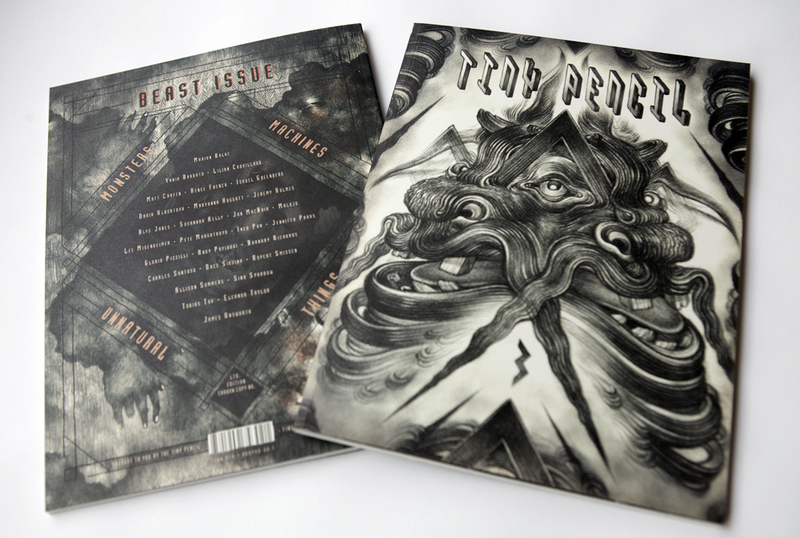 Issue 3 – The Beast Issue! is available to buy here. Designed, directed & edited by Amber Hsu. Production & additional editing by Katriona Chapman. Special thanks to Nick Sheehy for additional design and Heather McCalden for artblogging! Photos by Heather McCalden and Katriona Chapman!